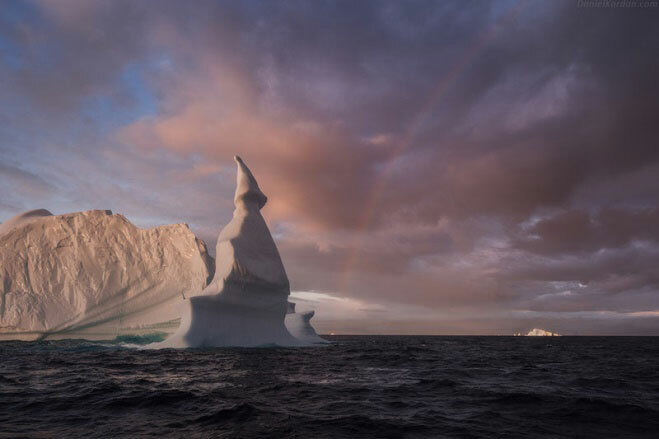 Greenland is a mysterious land home to plenty of the world’s most spectacular natural wonders. Yet it remains just beyond the reach of conventional tourism. Luckily, we’re not in the business of conventional tourism. 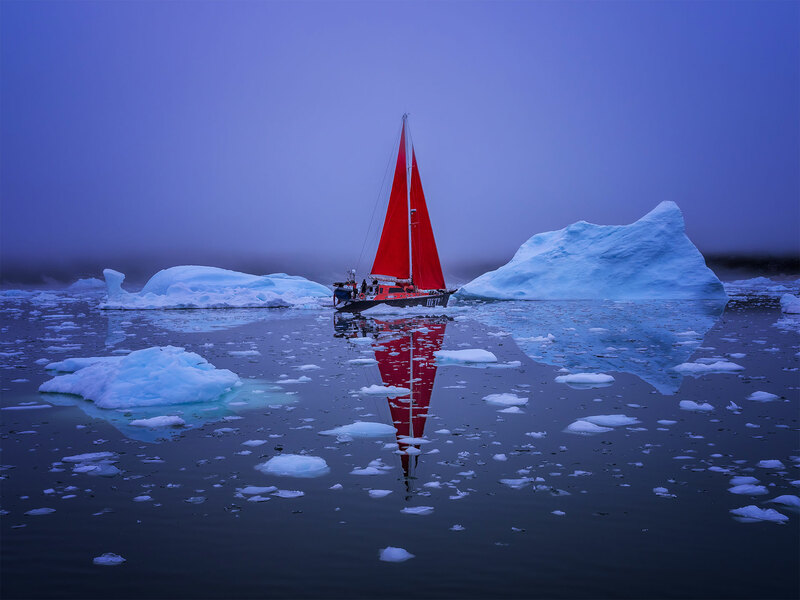 We specialise in providing unforgettable trips for photography enthusiasts, and one thing’s for sure: For any keen photographer, the lure of Greenland’s pristine icebergs, quirky villages, and untouched, icy wilderness is too tempting an adventure to turn down. And if the guarantee of memory cards packed with striking landscapes and serenity isn’t enough to get your heart racing, factor in the near-constant sunshine of the summer months this far north and you’ve got a tasty recipe for photo tour paradise. We recommend you the flight which arrives around 13:00 to Ilulissat. Please check AirGreenland for available tickets. The best way is to fly from Copenhagen with one change at Kangerlussuaq. We will meet you on the recommended flight and transfer for check-in to the airport. After the lunch we meet for the briefing at hotel and discuss upcoming sessions. ​After the dinner we load to our vessel and depart to the Icefjord. 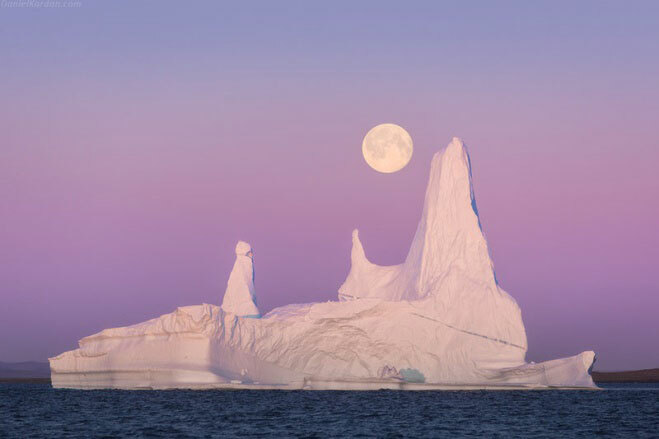 You meet with greatest icebergs in the world tonight! The magic light usually lasts around 2-3 hours. Sun slightly touches horizon, giving incredible colors, and roll on distant mountains. 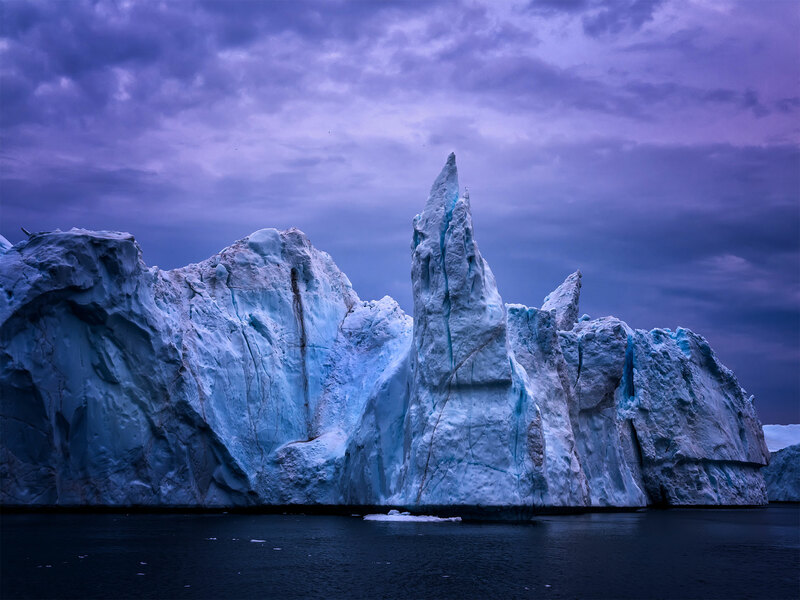 All these 3 magic hours we photograph icebergs , cruising around the fjord. Our trip is constructed for photographers, unlike touristic cruises you may book on solo trip to Ilulissat. ​We finish the cruise around 2-3 a.m. in the night. We have a spare time until breakfast. If you feel you can endure some more, you are welcome to walk around the Ilulissat after the breakfast, observing how the settlement wakes up and starts its normal everyday life. After breakfast we will get together with our photography guides and have a session on post-processing. After one night of incredible conditions there are sure to be plenty of questions on everyone’s minds. After, we’ll have a fairly leisurely afternoon, plan for the evening ahead and get some much-needed rest. ​After dinner we will once again sail out into the icefjord. We’ll start a little earlier on day two, as on top of our usual ice hunt we will be visiting several small settlements to the south, including Kangia, Qasigiannguit, and/or Ilimanaq. The final stop will depend on the conditions of the ice. 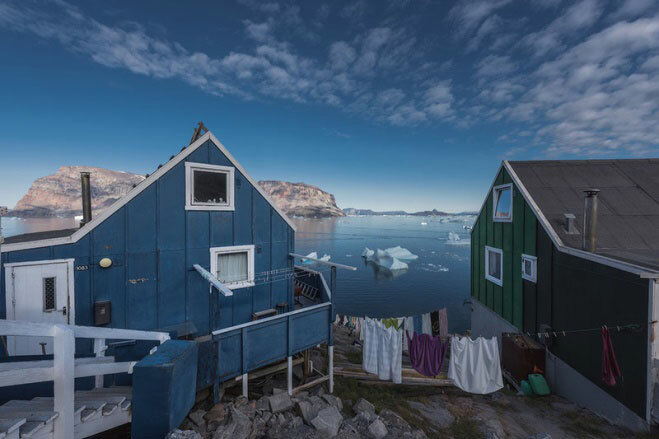 Greenlandic settlements tend be colourful, with colonial buildings full of character. 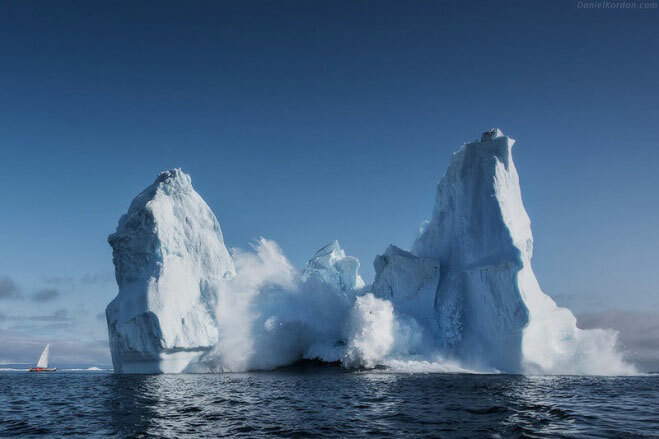 ​On our journey back we will hunt for some open-water icebergs, which vary in size, and come in a staggering variety of shapes. Castles, archways, towers – we will spend plenty of time under the midnight sun photographing these natural masterpieces. Our expedition will arrive back in Ilulissat between two and three in the morning. After another late one, we’ll take some time out to rest after breakfast on day three. Following a quick lunch, we’ll hop aboard our boat and head to, depending on the conditions, either Oqaatsut or Rodebay. Rodebay is a small settlement to the north of Ilulissat. There we will take a walk through the village, which currently has under fifty inhabitants. Despite the small population there is a church, a shop and a school! ​We will eat out that evening, in what is known as the “whalehunter’s pub”, a small restaurant with a big history. There aren’t a huge amount of options, so we may just go there for lunch instead – it’ll depend on their weekly schedule! ​After eating we will head back to Ilulissat and begin a night hike Sermermiut and the nearby Sermeq Kujalleq glacier. 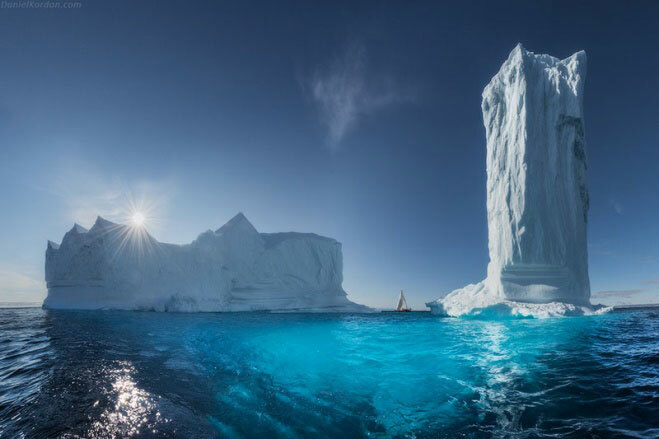 This is where all of the Disko Bay icebergs begin their journeys. Our walk will start from the outskirts of Ilulissat, before heading past Seqinniarfik, and up to the hilltop where local people meet the first rays of sun on January 13th every year. The path is straightforward, fitted with wooden paving for the majority. ​It’s around 1 hour each way, with striking views and comfortable slopes. We will have plenty of stops on the way, and enjoy the midnight sun while keeping an eye out for the local wildlife. We will spend a couple of hours harnessing our tripods and long exposures to take some memorable photographs of the Icefjord. After another late night hike, we’ll settle in for a cosy sleep back at our hotel in Ilulissat. After breakfast our guides will take us through another post-processing session. As evening rolls around again, we’ll prepare for another night out on the water. Just before midnight we will once again set sail, skirting around the Icefjord in search of the best compositions and light conditions. The area is a UNESCO world heritage site after all, so it’s definitely worth visiting as much as possible. After several hours gliding over the waveless expanse we will head back to port. After breakfast we will spend several hours in discussion with two of our award-winning photography guides. By this point in the expedition, there will be a mountain of photos to process and plenty of questions to be answered. Our guides will do their best to satisfy your curiosity and improve your photography as much as possible. 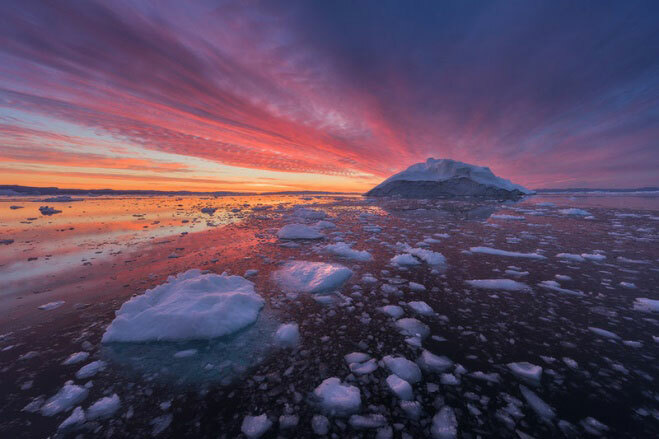 As evening falls we will once again set sail in search of icebergs, wildlife and any spectacles that the midnight sun will illuminate for us. Day six will be our last in Greenland. After a hearty breakfast we will have a farewell meeting, say our goodbyes and talk through some highlights. Transfers back to the airport are included, but you may want to plan an onward journey, perhaps further into Greenland. If this sounds of interest, we can certainly help you out with the organisation. If not, you will leave with vivid memories, thousands of incredible photographs, and your skills with a camera taken to another level. In many ways, our daily excursions out onto the serene waters of the Icefjord will be a permanent whale safari. Hours will be spent at sea every day, and we expect to encounter plenty of whales as we glide through the water. Throughout the duration of this photo tour the group will be guided by two award-winning professional photographers. Instruction will include post-processing classes, portfolio reviews, and critique sessions during the day. Each night the group will be hosted at one of Greenland’s 4-star hotels, where we will enjoy local food and fabulous 3-course dinners. This tour focuses on the Icefjord, a UNESCO world heritage site overflowing with natural beauty and striking spectacles. 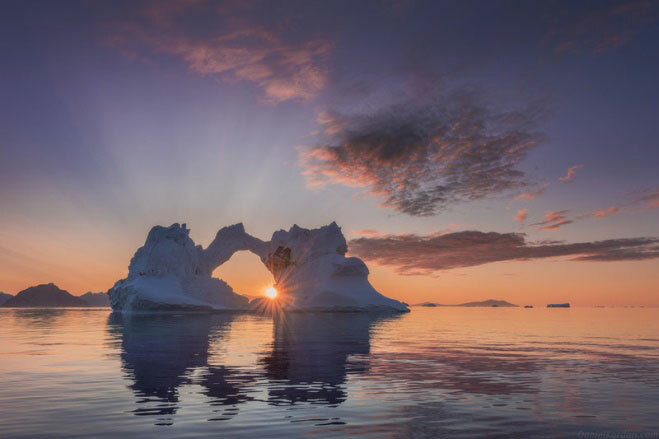 The landscapes and seascapes of Disko Bay will be our main photography hotspots, where we will sail alongside the greatest icebergs in the world under the magical illumination of the midnight sun. 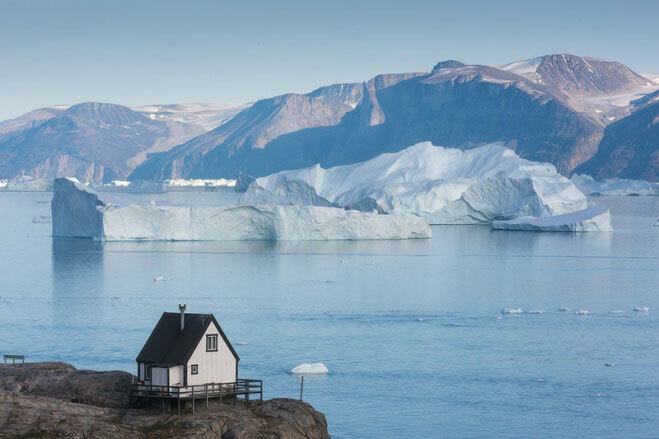 Many of Greenland’s settlements are only reachable by the sea. Our exclusive boat means that we have access to many of these remote places, and you have time for travel and people photography during the expedition. If you cancel and the workshop greater than 120 days from the start date of the workshop, and the seats does not fill, we will refund you the full amount you have paid, minus a $200 service charge.